True smoking stories from SmokePistol customers. We would like to thank the customers below for sharing their comments, stories and pictures. 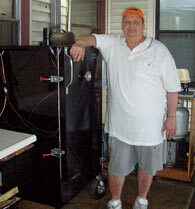 Wonderful customers like these help us make a great product. Click on each picture below to see the rest of the story. because now I cold smoke it myself at home with my SmokePistol. The SmokePistol is the best thing that happened to BBQ since meat. The pistol is definitely smoking! 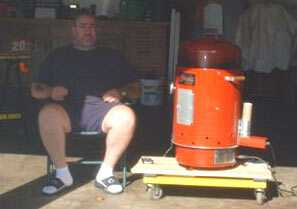 I've been into competition bbq for around 10 years, and into selling bbq supplies for around 15 years (through our retail store). I must say that I am impressed with the way the SmokePistol performs. 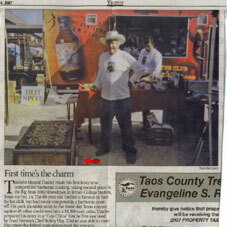 The first time I used a SmokePistol I won $3500 and never entered a BBQ contest before. 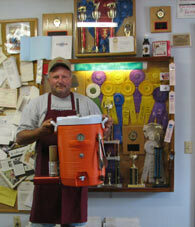 I won 2nd place, in the Texas State BBQ Cook-off and besides the “braggin rights” I won $3500. 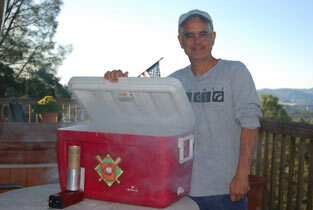 It was a great and rewarding experience thanks to the very simple concept of Caja China and the Smoke Pistol. After 6 Turkeys, 12 Pork Butts, 3 Hams, 6 Briskets, 12 Pheasants and over 30 racks of ribs.......Absolutely the best BBQ product I have purchased in the past 18 Years. 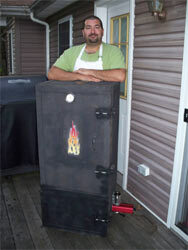 Enter the SmokePistol...It took roughly five minutes to install, light, and start producing smoke. 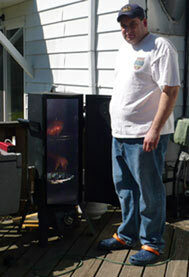 In the photos I've attached, I've got 20 pounds of kielbasa surround by a nice, sweet apple smoke. One of the best decisions I ever made! As a professional chef, economy, ease of use and consistency are very important to me when choosing equipment. After using the Smoke Pistol to cold smoke bacon and hot smoke King Salmon, I knew I found the right tool. Send us your pictures and comments about you SmokePistol or GrillKicker™ and we'll send you a 6 pack of your favorite cartridges.